Home / Beer / Beer Season is Here! The weather’s getting warmer and that makes me start thinking about spending some quality time in the back yard with my grill and cold one. When it comes to beer, there’s no one better to talk to than our very own Heather Burns. Not only is she responsible for keeping The Zweben Team on course, Heather is and expert on all things beer. Heather and her fiance Ray Darmstadt are the proprietors at the St. Gambrinus Beer Shoppe on Atlantic Avenue in Brooklyn, NY. When I told her I was planning to make my world famous ribs this Memorial Day, there was no holding her back! While I typically use Guinness in the marinade, Heather suggested using Black Hog Granola Brown. With a name like that, how can I resist giving it a try? Heather says this dark brew from Black Hog in Oxford, CT, is an interesting spin on a brown ale. 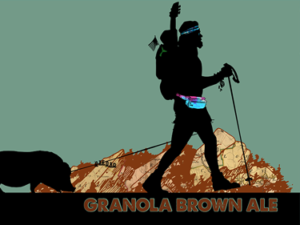 It’s brewed with granola, oatmeal, and roasted malts and has a nice hop backbone for balance. I think I’ll be trying a bit of the “hog” on my hog this year. As for what to drink, she suggested a couple more tasty treats, Carton IDIPA and Finback Double Sess(ion). 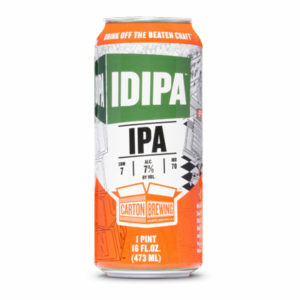 Carton IDIPA – 7% Highland Park, NJ. 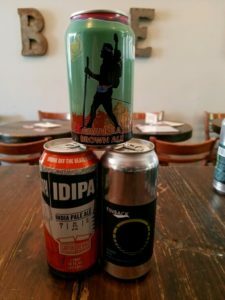 Heather says she loves a hoppy, fresh IPA or Double IPA to go with any spicy food. The hops in the Carton IDIPA, brewed in Atlantic Highlands, NJ, cut through the spiciness and also make a nice contrast to the rich, juicy meat. 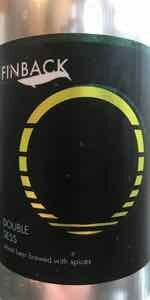 If you’re not a fan of hoppy beers, Heather suggests the Finback Double Sess(ion), brewed in Queens, NY. Her sophisticated beer-palate says it’s a unique wheat beer brewed with Szechuan peppercorns, ginger and chamomile. The subtle pepperiness and spice, along with the light body of the beer will be refreshing and a great complement for BBQ ribs. So everyone is happy, I think I’ll have all three on hand.